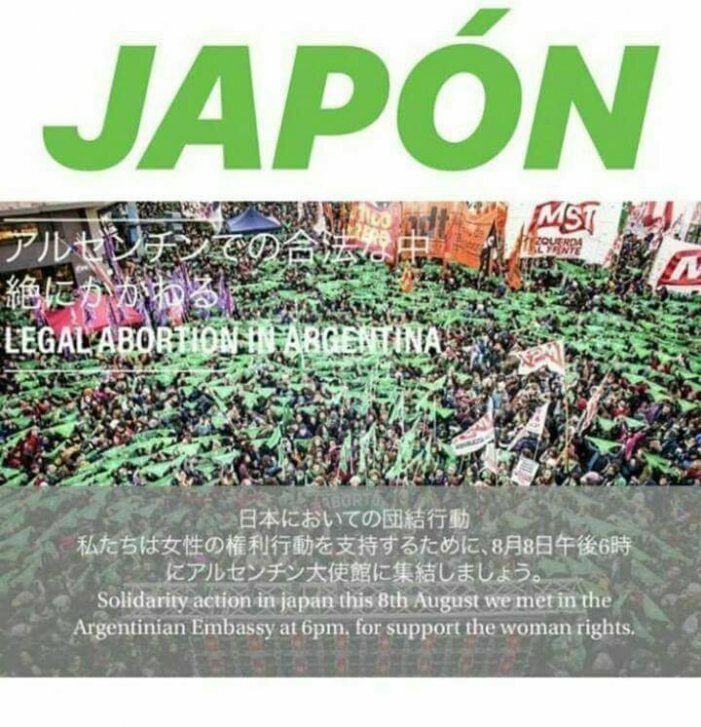 There are mobilizations all over the world planned in solidarity with Argentina’s abortion rights movement. 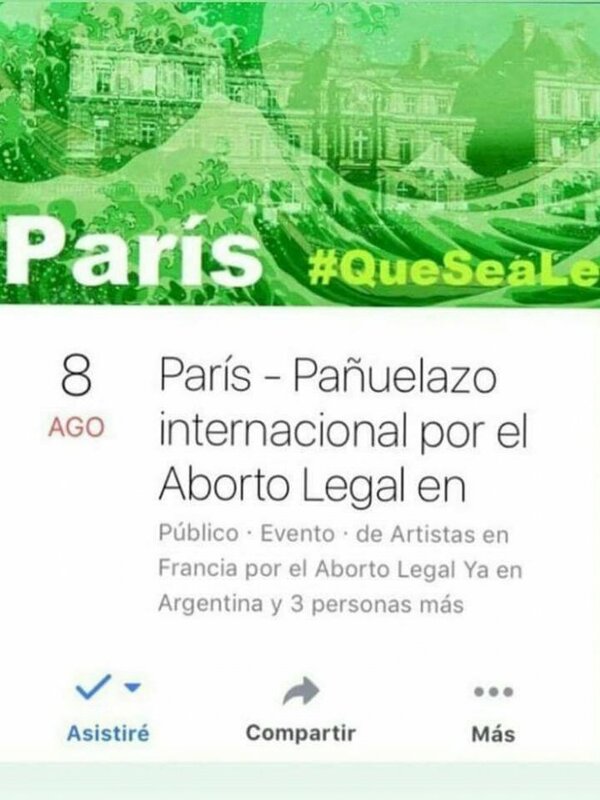 Throughout the world, demonstrations for women’s rights have been going on or are being prepared for the day the Argentinian Senate is scheduled to vote on the legalization of abortion. 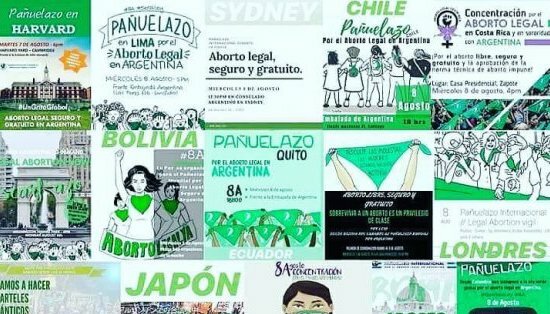 In the past few weeks, organizers around the world have launched actions in solidarity with Argentina’s abortion rights movement, as well as actions for legalizing abortion in their own countries– all inspired by the example of Argentina. On June 13, after massive mobilizations, the Argentine Chamber of Deputies approved the right to an abortion, which now has to pass the much more conservative Senate in order to become law. 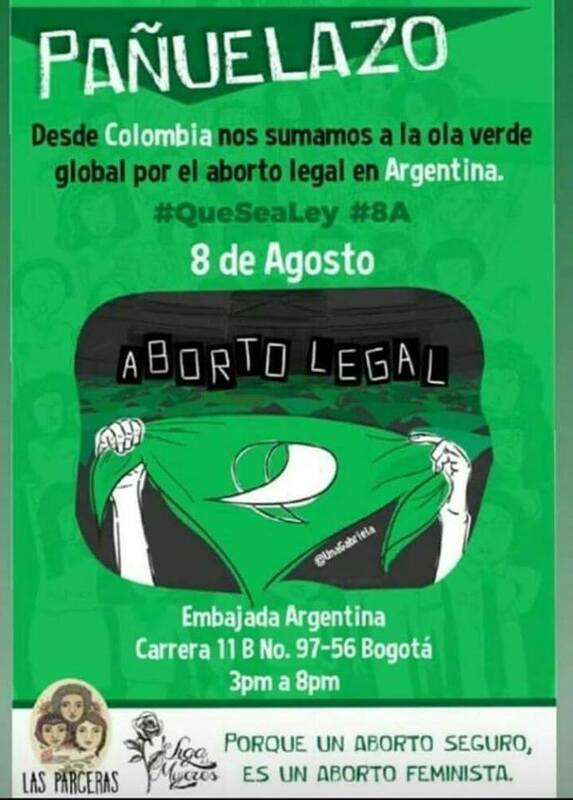 The decisive day for Argentina is August 8th, when the Senate will vote on legalizing abortion. The world over, there are calls for mobilizations in solidarity. 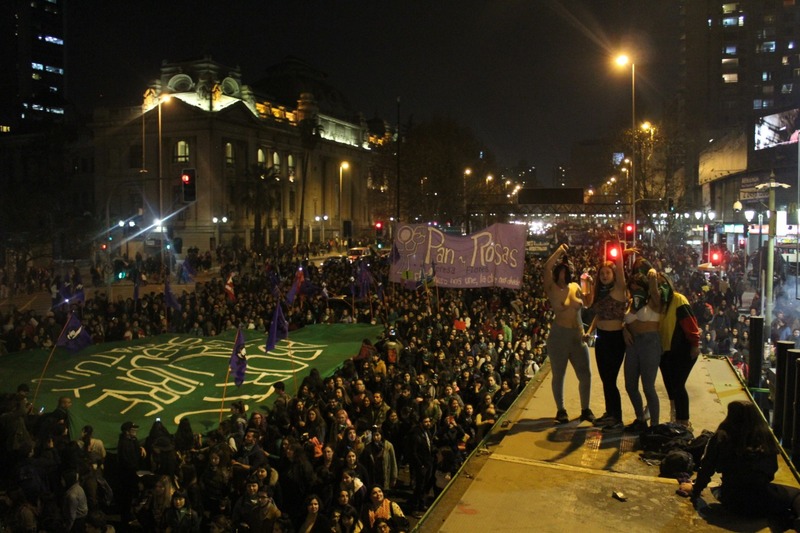 The Argentinian women’s movement has transformed into an international referent since the day thousands of women marched in 2015 to the cry of #NiUnaMenos (not one woman less). Today, the legalization movement for safe and free abortion managed to put women who organize and mobilize for their rights in national and international headlines. 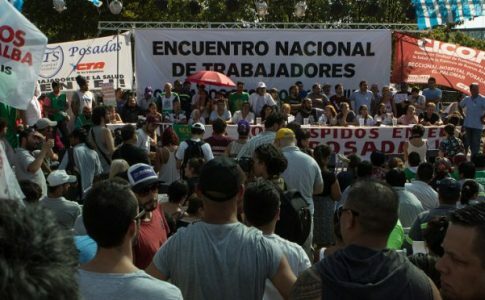 This comes in the midst of a growing discontent against the right-wing government of president Mauricio Macri and a general strike a little over a month ago. 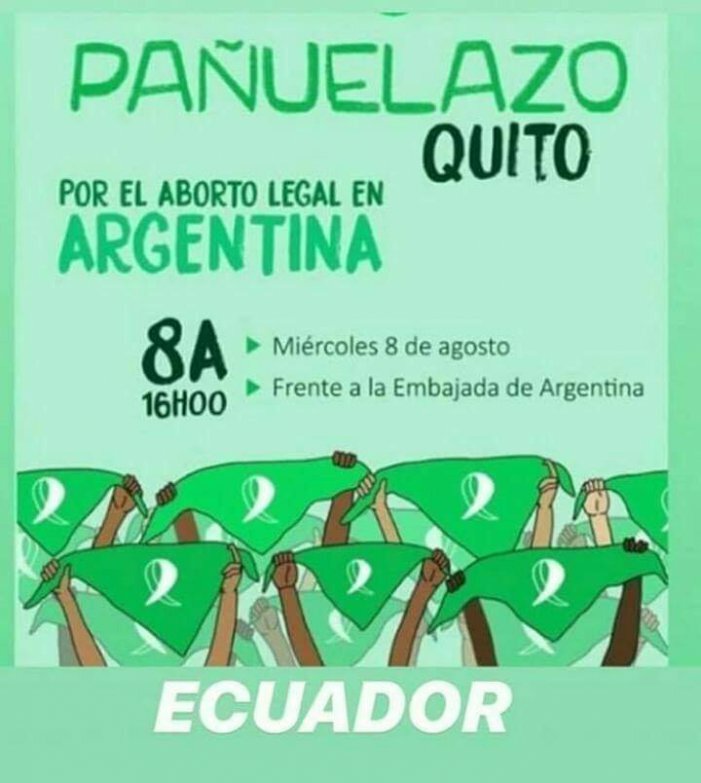 In Sao Paulo women will march to the Argentinian consulate for a “pañuelazo” (waving the iconic green handkerchiefs associated with the right to an abortion) in solidarity with the women’s movement in Argentina. In Rio de Janeiro there will be a rally in front of the State Legislative Assembly at 4:00PM. There are other actions planned in Belo Horizonte and Porto Alegre. 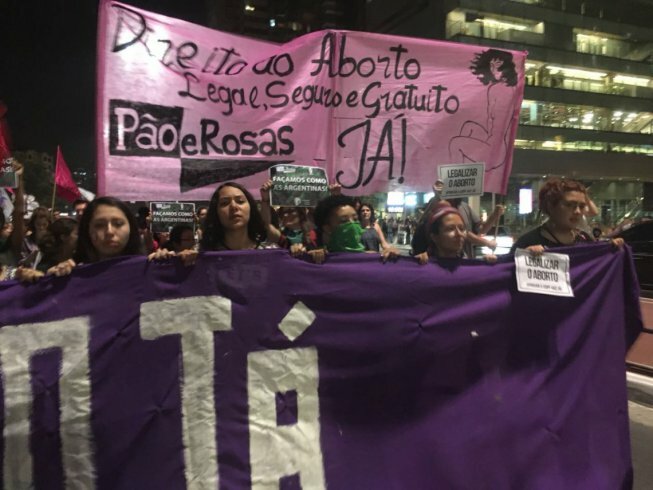 Women in Brazil previously marched on July 19 after the news hit of the approval on the Argentinian Chamber of Deputies with thousands flooding the Paulista Ave. and the Oswaldo Cruz Plaza. 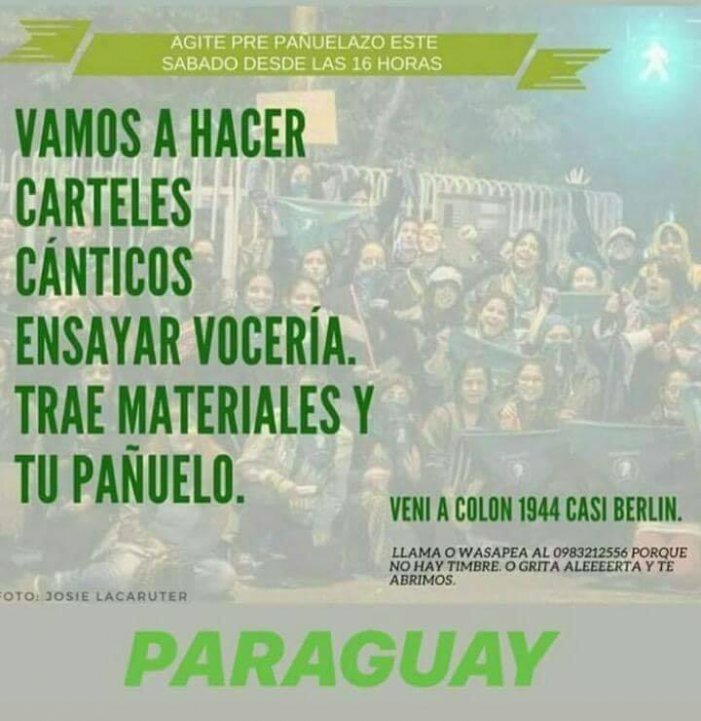 The women’s group Pao e Rosas (Bread and Roses Brazil) is calling to “follow the example of Argentine women” and flood the streets once more to join the solidarity actions on August 8th. In Spain, there are actions and vigils planned in many cities. In Madrid women will march to the Argentinian embassy on August 8th at 12PM and starting on 7PM the Lavapiés Festival will turn into a protest in solidarity with Argentina. In Barcelona protests will begin at 12:30PM at the Argentinian consulate. The 8M Assembly in Zaragoza will concentrate in the Paraningo at 8PM. 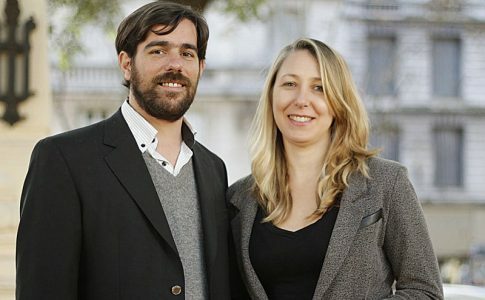 There are other actions planned in Compostela and Telerife among others. 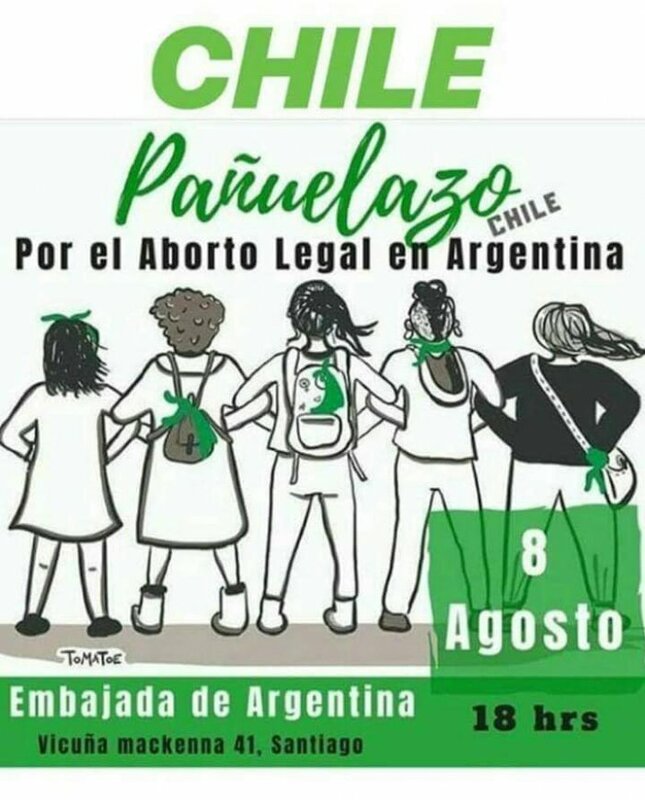 In La Paz, many women organizations and independent activists will protest on August 8th at the Argentinian consulate. 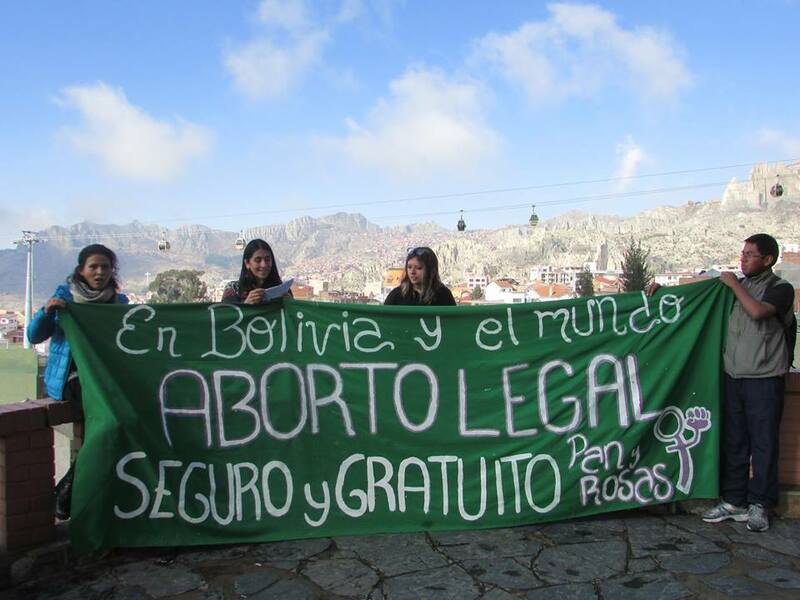 The statement calling for mobilization reads: “we join in Bolivia to the world Pañuelazo for the right for a free, safe and legal abortion to support our Argentinian comrades and to repudiate the fascist attacks against women in Chile and to achieve this right in the whole region”. 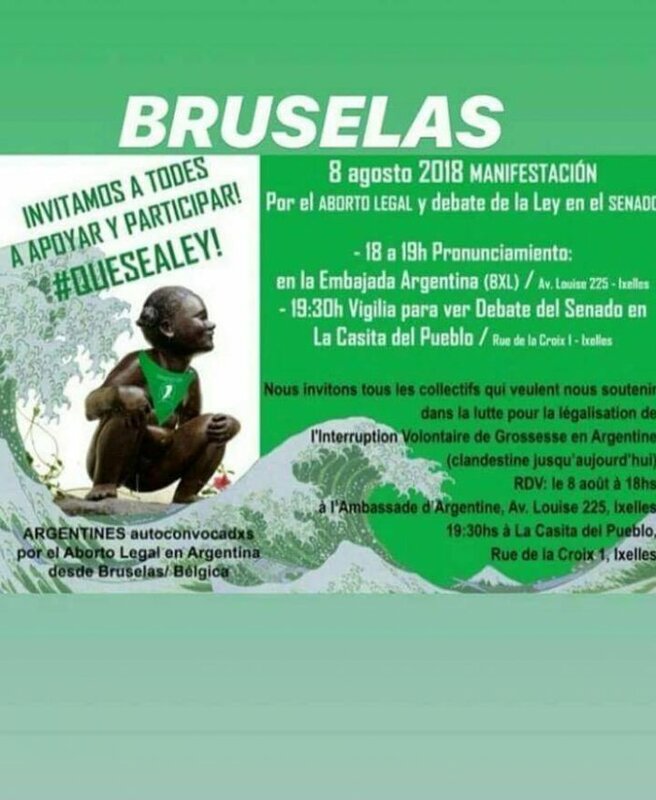 In Mexico City there is a planned demonstration on August 8th at the Argentinian consulate at 3PM, ending in the Benito Juárez Monument at 5PM. Currently, only Mexico City legalized abortion, but the rest of the country still criminalizes women who abort, resulting in the imprisonment of women for abortions or even for miscarriages. 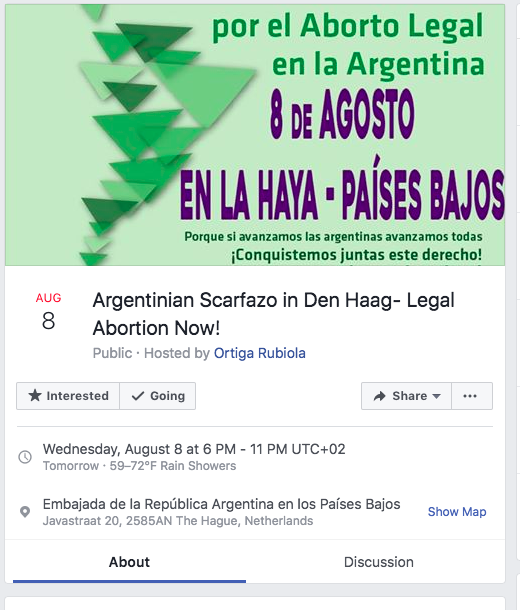 In Santiago de Chile there is a protest on August 8 in front of the Argentine consulate under the slogan “for legal abortion, we join our Argentine comrades”. 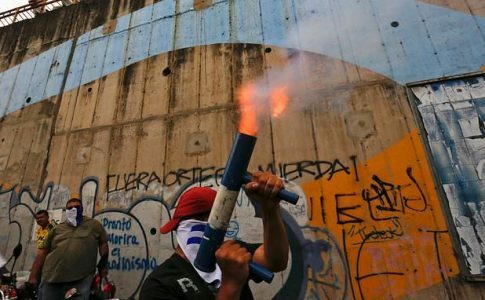 Demonstrations in Antofagasta and Valparaíso are being prepared as well. 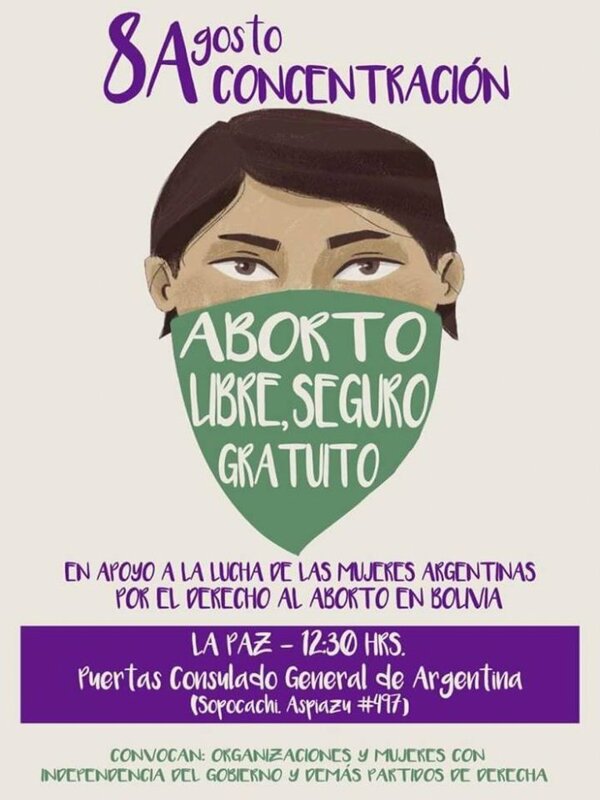 Chile also had massive mobilizations for abortion rights on July 25, building off of Argentina’s momentum. Dozens of thousands took the streets around the county. 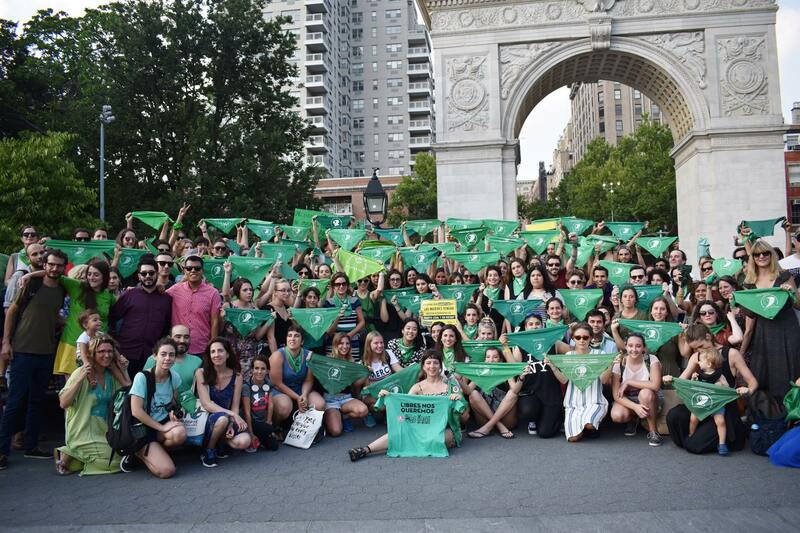 The socialist feminist organization Pan y Rosas (Bread and Roses Chile) carried a giant green handkerchief in solidarity with Argentina. After the protest, three women were stabbed by members of a fascist organization. 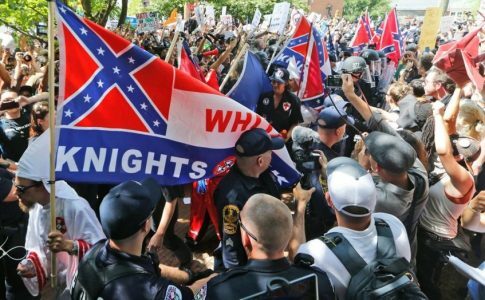 The far-right group “Social-Patriot Movement” took responsibility for the attack and publicly issued a twitter statement promising to “paint the Alameda St. with blood.” Pedro Kunstmann, their spokesman, declared: “We Social-Patriots are responsible for the protest against abortion on Alameda St.!! Against radical murderous women, radical patriots!” These declarations sparked outrage in and outside of Chile with women from other countries issuing solidarity statements with the wounded women. 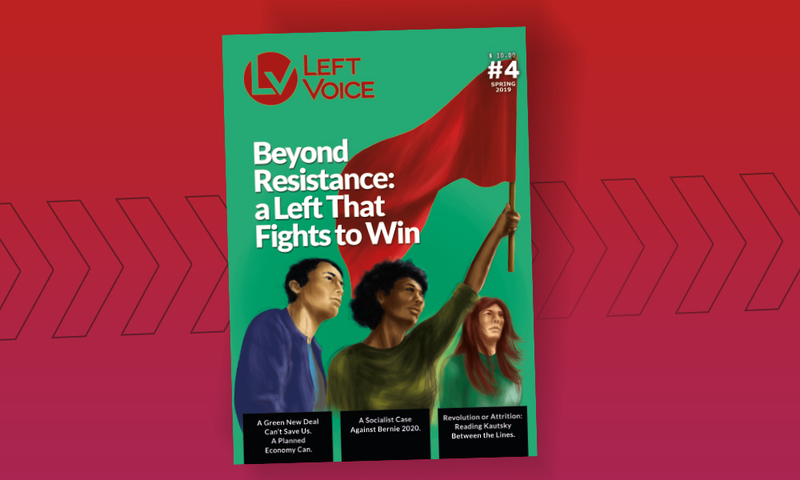 Left Voice also hosted a discussion with Pan y Rosas, Argentina to discuss the struggle for abortion rights. 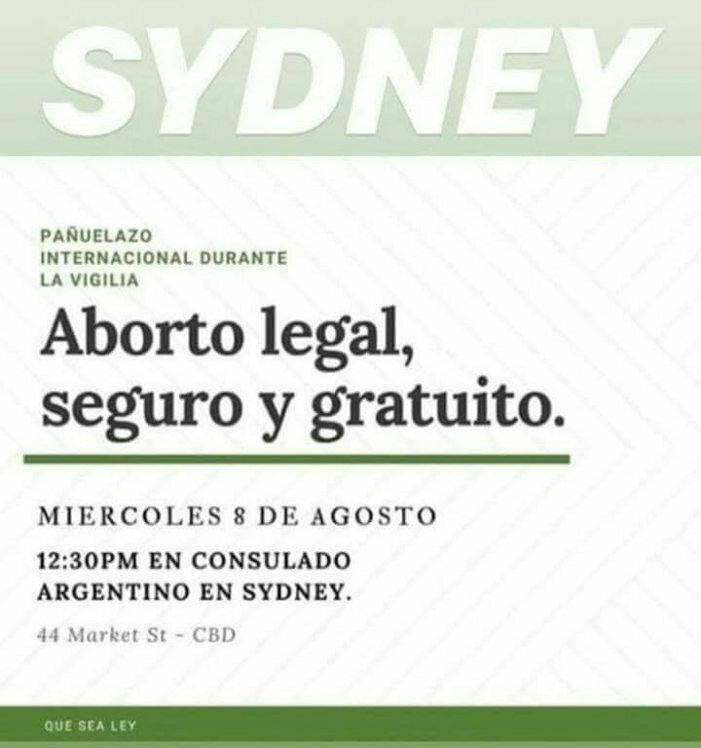 On Tuesday, the back cover of the New York Times was a massive Amnesty International ad supporting the right to an abortion in Argentina. 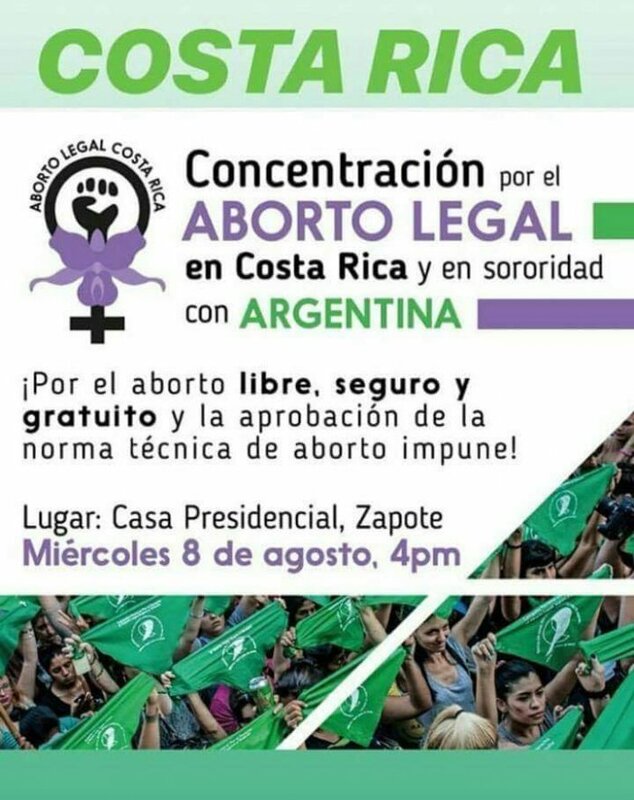 In San José de Costa Rica, there will be a demonstration in front of the Presidential House on August 8th at 4PM. 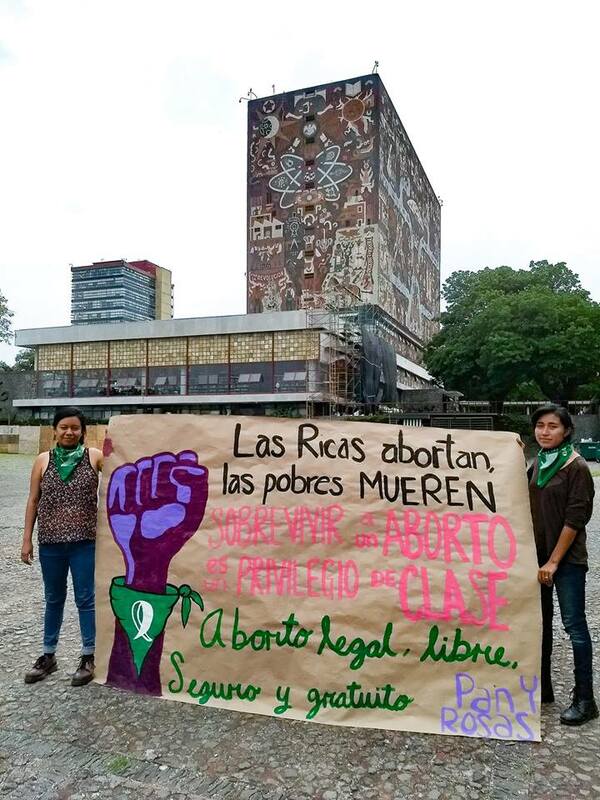 Pan y Rosas–Costa Rica and other activists also demand that the government consider a law legalizing abortion and immediately stop punishing women who get abortions. 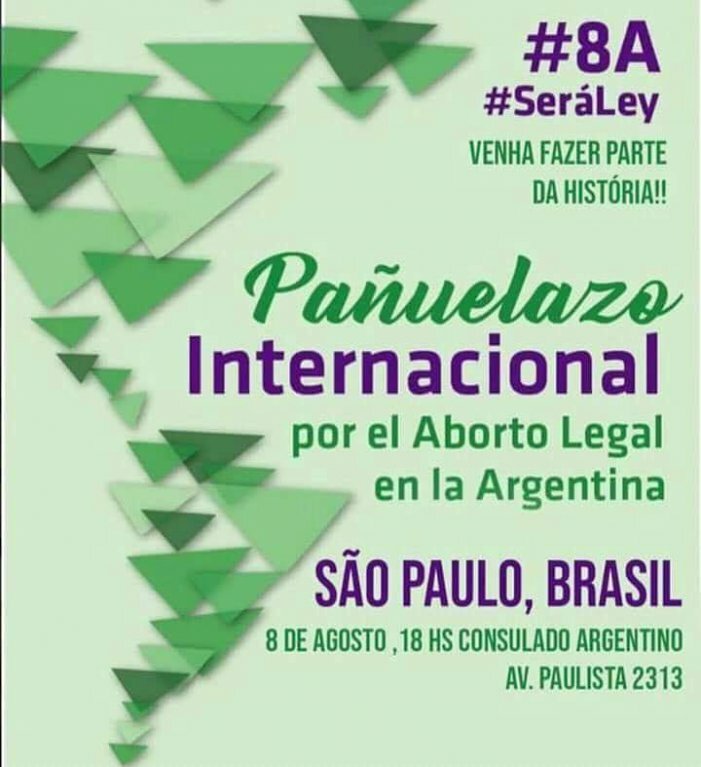 In Paris, there is a solidarity pañuelazo scheduled for August 8th called by Feminist Alert, Paris Artists for the right to Abortion in Argentina, among other organizations. 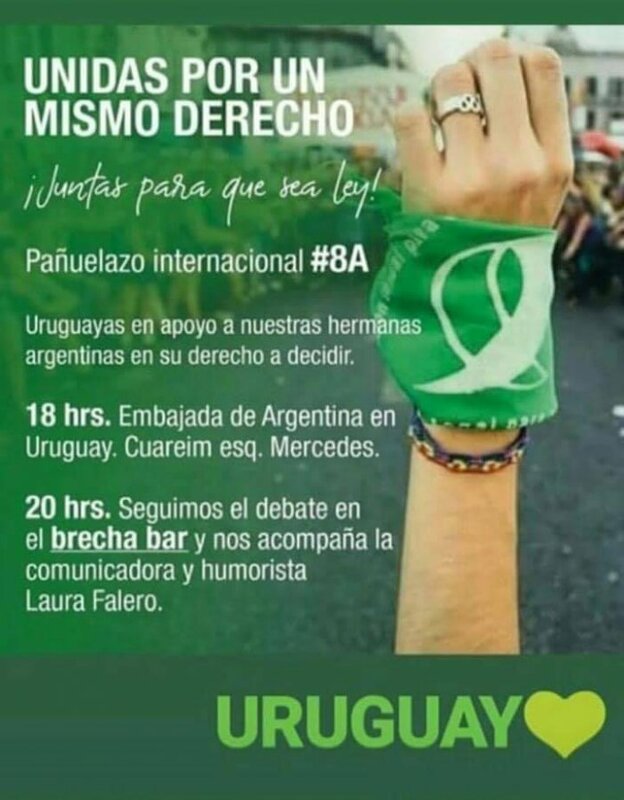 In Montevideo there is a concentration planned starting from 6PM on August 8th in the city’s Argentinian embassy. 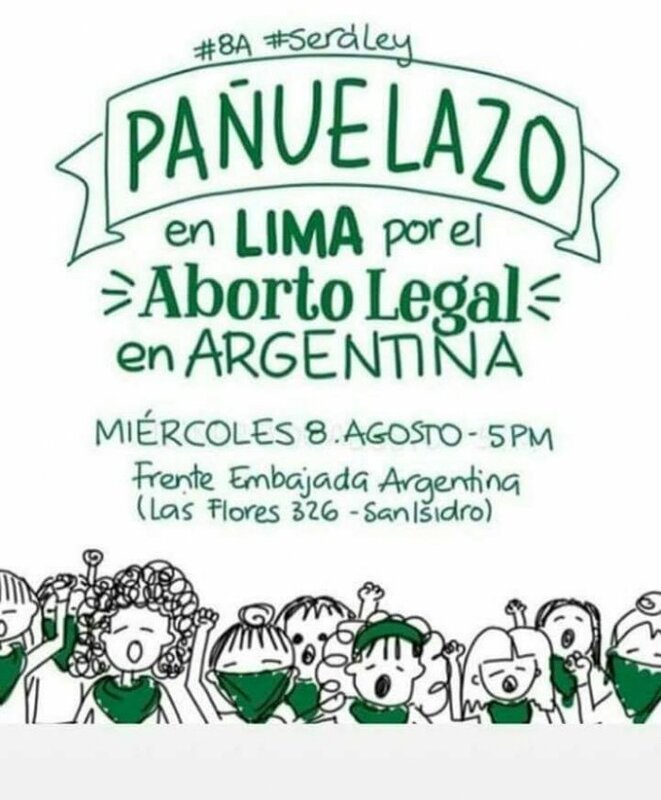 Several women organizations will join in a demonstration to the Argentinian embassy in Lima in a solidarity measure with the #PañuelazoInternacional to support the struggle for Argentinian women for a free, no-charge and safe abortion. 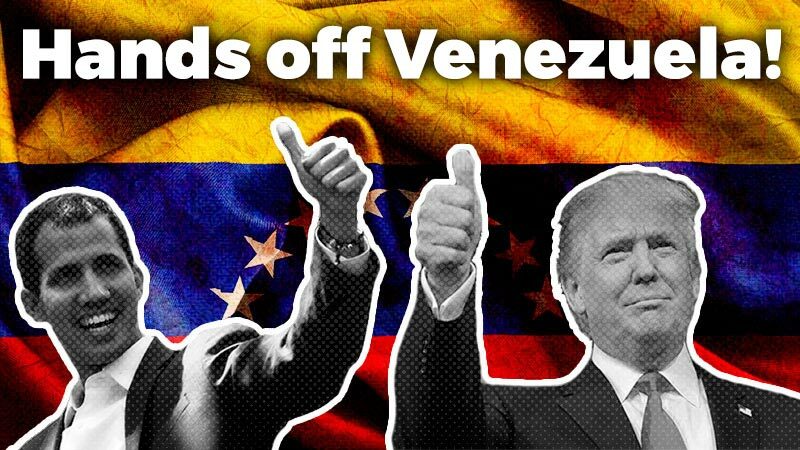 There are also mobilizations planned in Japan, Holland, England., Colombia, Uruguay, Australia, Paraguay, Belgium, Ecuador and more.